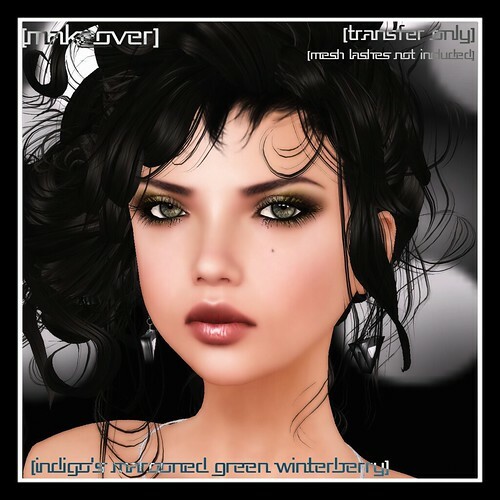 Indigo's-Marooned-Green-Winterberry, a photo by Mocksoup on Flickr. These makeovers are more subtle, and look best on barefaced skins. For a more dramatic look, try taking two of the three sizes in your folder and stacking them, or stack all 3! The skin in the vendor photo is League's Isla Medium-Natural.